This is a property with so much to offer, with so many out buildings which could all lend . . . This immense house is in perfect condition and in a wonderful location; a friendly hamlet on . . . This charming house has lots of potential to be split down into two properties, a main house . . . 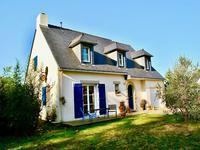 Located in a quiet hamlet close to the village, this spacious longère offers 2 lovely . 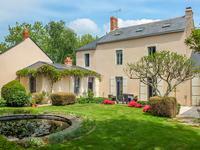 . .
A delightful longère ensemble located on the edge of the village of La Chapelle St Sauveur . . .
Two Superb houses in the heart of the countryside. It offers a living room, dining room, . . . Luxury family home that has been expertly decorated and maintained offering 5 or 6 bedrooms . . .
Large house on 937 m2 of land. 3 bedrooms with bahtroom, dining room / living room with . 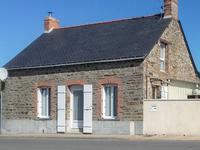 . .
Charming 3 bedroomed cottage with smaller cottage for renovation, set in hamlet, close to the village of Masserac. This is a property full of possibilities, ideally situated, close to all amenities, and with . . . Either a superior standard holiday home due to the amazing location close to the beach. . . . 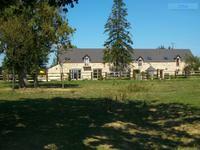 Beautifully renovated Longere, Stables, 10 hectares. Potential for Gites. Lots of outbuildings. Quiet location. So much potential! The house has lots of character with exposed beams, exposed stone walls . . .
Beautiful property with fish farm including a lake of nearly 2 acres and a large number of . . . Beautifully renovated Cottage set in a small peaceful hamlet. My first impression is WOW. Situated in a small hamlet this stone cottage is definitely worth . . .
Farmhouse with 5 bedrooms renovated to an exceptional standard with over 7.5acres of land . 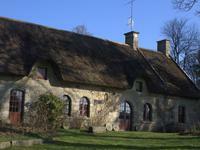 . .
A total plug-and-play Gite/Bed and Breakfast business opportunity - a gite complex with three . . . Fantastic opportunity to own a high specification small equestrian estate with 9 acres of . . .
Light, airy and spacious; 3 bedrooms, 2 bathrooms, plenty of room outside, large double . . .
Beautiful Stone country house located in small hamlet close to river. 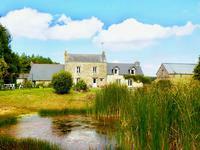 Marketed Exclusively with Leggetts this property is located in a beautiful part of Brittany. . . . This is a property full of character, ideally situated, close to all amenities, and with good . . . Very flexible property in very good condition being offered as either a family house with 5 . . . 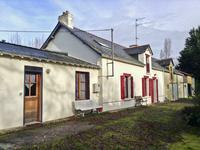 Fully renovated house with potential for gite on the edge of Chateaubriant in a very private . . . This property was once the village school house, beautifully renovated and retaining all its . . .
Three independent properties within a single barn conversion with option to create a single . . .
Delightful stone cottage with plenty of original character throughout comprising a single . . .
Charming property with a lot of style and character remain as staircases, fireplaces in . . .
Lovely cottage, available fully furnished with two downstairs bedrooms and a character . . . This ideally positioned property would make a superb family home, with space to run a Bed & . . .
Beautiful Thatched 6 bedroomed Longere set in 22 ha of land with 18ha lake, plus property for letting. 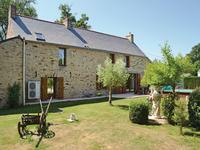 Set in a tranquil location, these properties are ideally located between Nantes, Rennes and . . . Character 4 bedroom, detached stone home with beautiful landscaped gardens in quiet hamlet close to Chateaubriant. With possible gite potential. Superbly renovated house with good size living space on the ground floor and 2 large bedrooms . . .
Renovated a number of years ago, this property boasts features such as a reclaimed stone . . .
'Longèrè' offering two units of accommodation, and various outbuilidngs including offices, workshop and recording studio. If you love peace and quiet in a lovely country setting but don't want to be too far from . . .
Beautiful country house on the edge of the village of Rougé and just 4km to the vibrant town of Chateaubriant with easy access to Rennes and Nantes. A taste of country living! Located within a small hamlet on the edge of the picturesque . . .
Large Character House in the centre of small village, currently comprises owners accommodation plus 4 apartments. With 40 rooms, a former cafe attached, there are numerous options of what could be done to . . . Beautifully renovated stone longère, situated in a quiet hamlet within easy drive of Nantes, St Nazaire and some lovely sandy beaches. Located in an area of beautiful countryside yet so close to the cities and coast plus easy . . . Situated within a small hamlet this good sized plot of land of 750m2 has mains water and . . . Situated within a small hamlet this good sized plot of land of 1250m2 has mains water and . . .
Delightfully renovated character property with two bedroom owners accommodation and two fully . . . This former presbytery built in the 1870's is the centre piece of the village of Sion les . . . Plenty of possibilities with this habitable property with all the current accommodation on . . . Fully renovated and delightfully presented 2 bedroom cottage in the centre of the village . . .
Lovely 9 bed stone Longère offering B&B close to Chateaubriant. Beautiful stone longère divided into two parts. One part for B&B, the other as private home. . . . Magnificent bungalow property close to the centre of Chateaubriant set in 2+ acres of grounds . . . 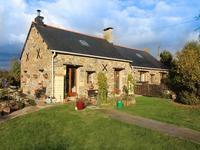 Beautifully renovated longere situated in quiet hamlet. 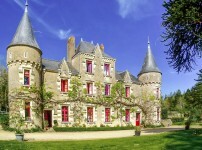 Ideally located between Nantes and Chateaubrient. Renovated to a very high standard and retaining many existing features including timber beams . . .